cheddar-corn dip | Is there any wine left? Let’s be honest, the best part about football season is when your team wins the national championship. But, yes, a close second is all of the quality time with your friends and family watching the games and enjoying great food. I know my heart rate skyrockets during the games (our coach has slight clock-management issues) and I consider the nervous energy I burn off an excuse to just enjoy more snacks and Abita without worrying about the calories. 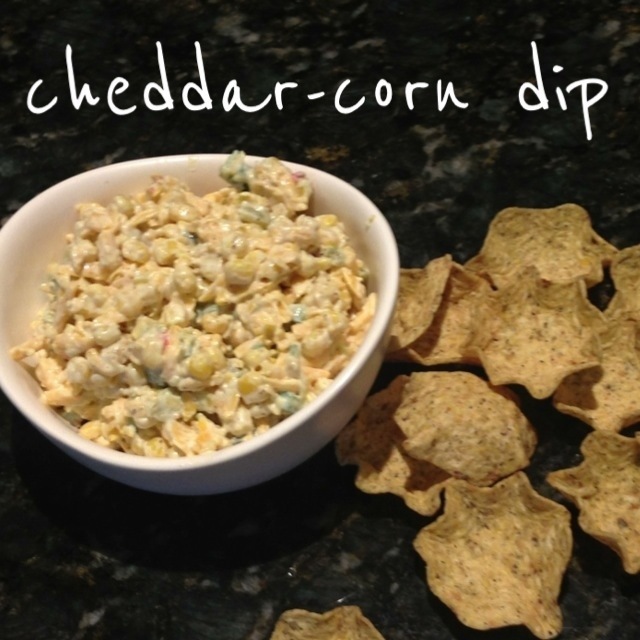 This dip is the perfect appetizer for game day parties — its cheap, easy (mix it all in the serving bowl), and tastes great! In a large bowl, combine all ingredients until incorporated. Serve with Fritos or tortilla chips. THIS is why we’re friends B!